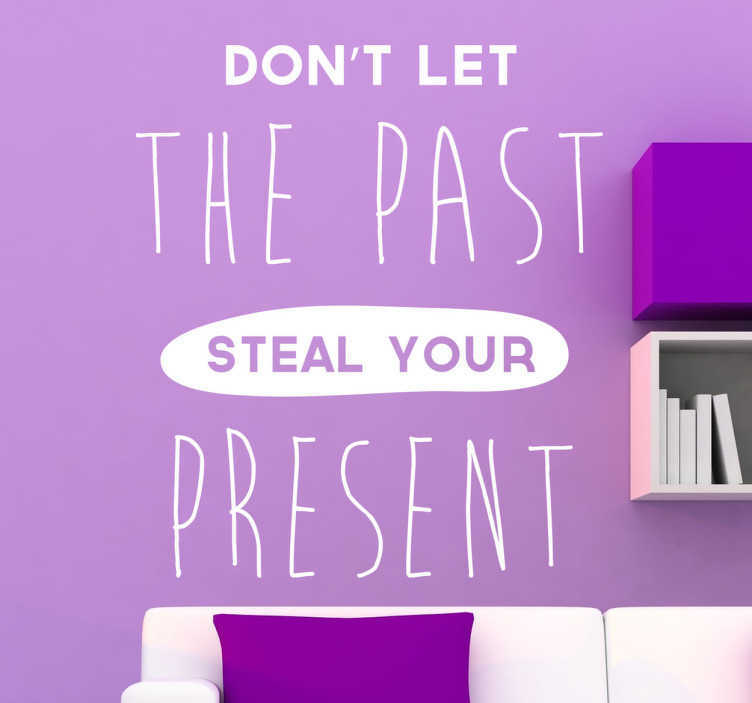 Wall Stickers - Motivational - "Don´t let the past steal your present" original text design. Fill your space with positivity and encouragement. Available in various sizes. Decals made from high quality vinyl, easy to apply and remove. Decorate walls, appliances, devices and more.